"It is our responsibility to come up with an effective treatment,” says Masayuki Saijo, a virologist at the National Institute of Infectious Diseases in Tokyo, who helped to launch the trial. Cases of SFTS were first reported in China in 20091 . Researchers identified the virus responsible in blood samples from a cluster of people who shared a combination of symptoms that included high fever, gastrointestinal problems, low white blood cell count and low platelet count (thrombocytopenia). The virus killed 30% of those infected in China that year1. It was even more lethal when the first cases appeared in Japan and South Korea in 2013. More than one-third of those infected in Japan and nearly half of those infected in South Korea died that year. And the number of cases in each country has risen sharply. In 2013, there were 36 reported cases in South Korea, but by 2017 the number had jumped to 270. In 2010, China reported 71 cases; in 2016, there were around 2,600. Japan experienced a 50% increase between 2016 and 2017. All﻿ three countries implemented measures aimed at educating local physicians and citizens in endemic areas about the risks of tick bites. Those infected now fare much better. In China, only around 3% of peop﻿le infected died in 2016, and in Japan the number fell to 8%. In South Korea, the figure dropped from 47% in 2013 to 20% in 2017. Scientists credit the reduced fatality to earlier recognition and better general treatment — although no cure exists — and to the likelihood that wider surveillance has led them to recognize mild as well as severe cases. The SFTS virus is not expected to evolve into a rapidly transmitted disease like Ebola. 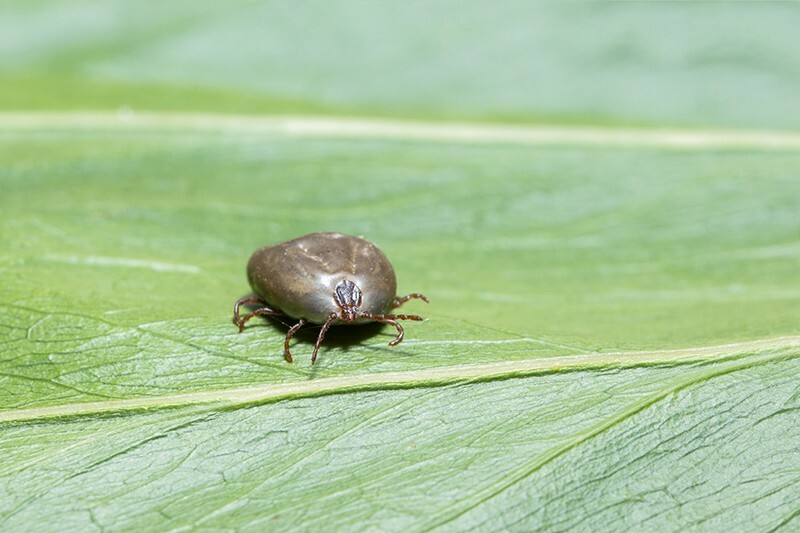 And those infected are generally limited to people, such as farmers or hunters, who come into contact with the animals that carry Haemaphysalis longicornis, the tick that harbours the virus. But many say that the virus’s toll and potential threat have been under appreciated. Those infected have a better prognosis, but the virus still kills a higher percentage than any other infectious disease in South Korea, says Keun-Hwa Lee, a microbiologist at Jeju National University in South Korea. And the higher number of infections means that the disease claims more than 100 lives globally each year. Two reports from Japanese health officials last year caused particular alarm. One stated that a woman had likely been fatally infected through a cat bite, and the other that a man had been infected by his dog. "To the warnings of previous years, we have to add the risk of touching sick domestic animals,” says Kazunori Oishi, director of the Infectious Disease Surveillance Center in Tokyo. Last month, Japan began a clinical trial of an influenza drug, favipiravir, that was used to treat Ebola during the 2014 outbreak in West Africa. The drug is effective on viruses with a certain molecular structure that Ebola and SFTS share, says Saijo. Although the number of cases has risen sharply, scientists can’t say whether the increase is due to heightened surveillance and awareness, a real growth in the number of ticks and the animals that carry them, or an increase in risk as humans encroach on areas where the disease is endemic. Shigeru Morikawa, director of the department of veterinary science at the National Institute of Infectious Diseases, says that some researchers suspect the number of ticks has increased because fewer people hunt wild animals in Japan now, and this has allowed deer and boar populations to surge. Yu, X.-J. et al. N. Engl. J. Med. 364, 1523-1532 (2011).